The AEF is pleased to be able to offer for the first time ever, an opportunity for Para-Dressage riders to participate in a clinic with world-renowned Para coach Clive Milkins. Clive Milkins was recently appointed as Para-Dressage High Performance Program Technical Leader for Equestrian Canada. 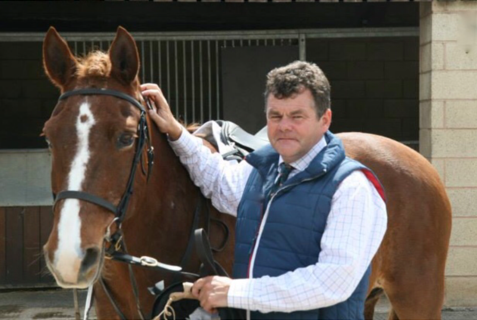 A graduate of the United Kingdom (UK) Sport Elite Coaching Program, a Fellow of Riding for the Disabled, and a Level 3 UK Certified Coach, Milkins also has a long list of qualifications in equine business management, horse management and teaching. Milkins has been involved in para-dressage for over 25 years, training horses and coaching athletes to the highest levels of success on the world stage. Most notably, he coached internationally renowned para-dressage athlete, Sophie Christiansen of Great Britain, to six Paralympic, four FEI World Equestrian Games and eight European Championship titles. With a strong passion for developing para coaching systems and programs in order to grow the sport, Milkins, originally from England, has traveled extensively, coaching in South America, South Africa and Asia. He has also worked closely with Special Olympic organizations and athletes, plus is a qualified able-bodied dressage coach. Rider Fee: $200 (GST Included) – Also includes lunch both days, stabling, and swag bag!